Troubled Indian ecommerce company AskMe is likely headed for a winding-up as its parent Astro Group has rejected the buyout proposal made by the management team leading it. The Malaysia-based group, which owns 98.5% stake in the company, has said it will leave it to the liquidator appointed by the court to find a potential buyer for it. 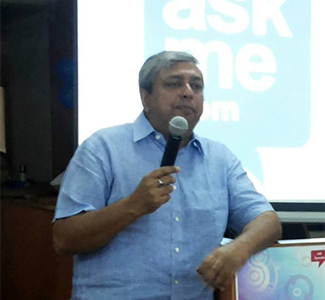 For those who came in late, AskMe’s chairman Sanjiv Gupta had reached out to the Astro Group thrice in the past three months proposing a management buyout. Responding to an email from VCCircle, a spokesperson of Astro Overseas Limited said: “As the company will now potentially go through the winding-up process, any potential buyer will only be considered by the liquidator once appointed by the court.” The spokesperson also reiterated what the group has said about AskMe in the past that “an independent review by advisors has concluded that there is little prospect for turnaround and the business is insolvent”. Incorporated as Getit Infoservices Pvt Ltd, AskMe ran a clutch of consumer internet businesses across verticals such as ecommerce, online directory, e-grocery and online furniture. The company suspended operations in early August for want of funds as the parent Astro was exploring an exit. Struggling to keep afloat, the management and the parent got embroiled in a public spat hurling accusations at each other. Astro threatened to conduct a forensic audit of AskMe in order to find out why it failed in turning in any profits while the management accused the Malaysian investor of fleeing the country without paying closure costs. In its response to VCCircle, Astro said that it was a patient investor in the company but had to retreat after it failed in meeting its goals. “AENL has always been a responsible and patient investor in Getit over the last six years, investing nearly $300 million to date to keep the business afloat during often volatile market conditions, even as other investors withdrew. Unfortunately, Getit has not been able to meet its business KPIs (key performance indicators) and ensure sustainable growth despite these huge investments by AENL,” said the Malaysia-based group. Astro had invested in AskMe through its subsidiary Astro Entertainment Network Limited (AENL). AskMe Group employees and vendors have not been paid their salaries and dues for the past three months. AskMe has 4000 employees and 1000 vendors. The conflict between the investor and the management has reached the National Company Law Board Tribunal. The Tribunal on August 31 directed both the parties to maintain status quo until its next hearing on October 17. Meanwhile, Gupta approached AENL asking it to consider the management buyout offer the third in early September. Gupta was not available to comment on the latest development while most of the key executives including chief executives of the business verticals stepped down in August.